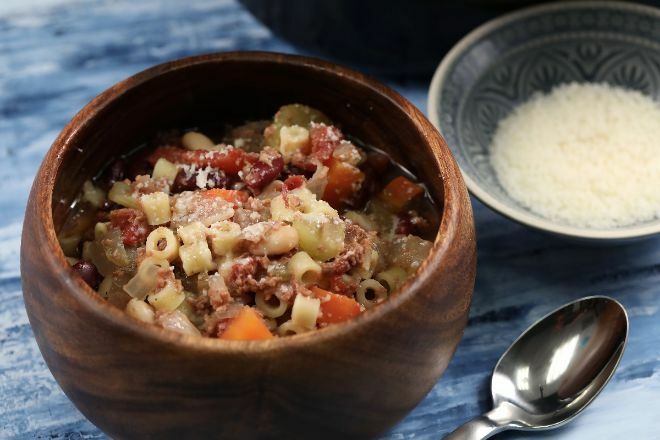 As with many Italian dishes, pasta e Fagioli transforms inexpensive ingredients into a delectable, filling meal. Translated, pasta e Fagioli means "pasta and beans," and there is no definitive recipe since kitchen staples vary widely throughout Italy. 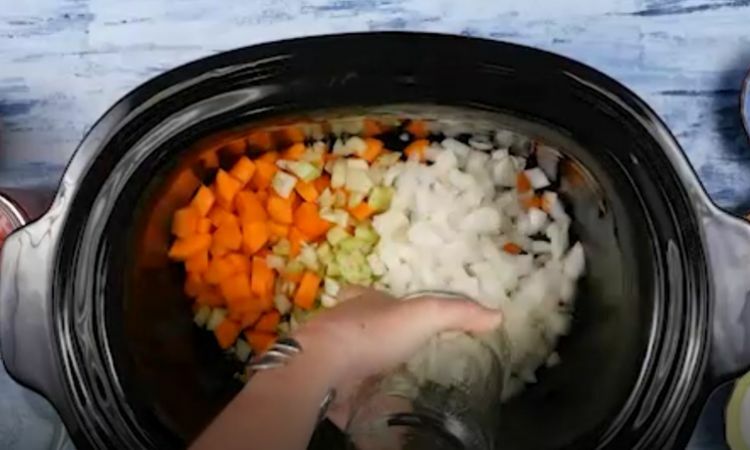 This hearty soup has legions of fans, and cooks have gone to great lengths to duplicate Olive Garden's version. While we can't guarantee that this is the exact recipe they use in their restaurant, it's a pretty close facsimile. And you'll find that the ingredients are probably already in your pantry. Serve it with a tossed green salad and fresh breadsticks, and you've got a meal for the whole family. 1. 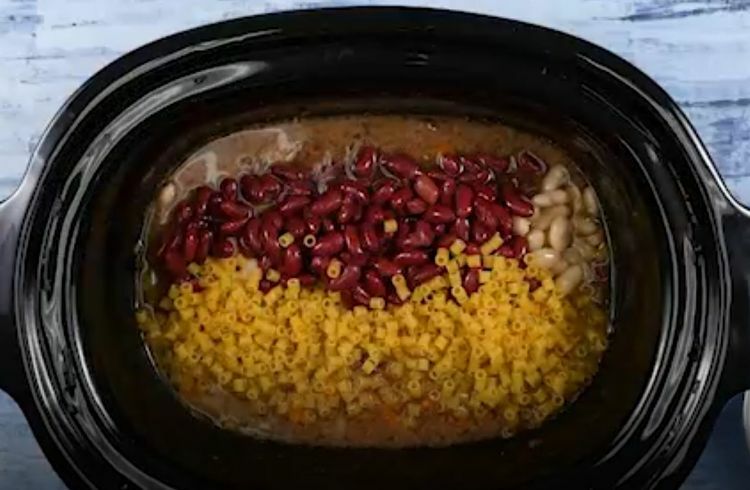 Put everything except beans, pasta and cheese into a 6-quart slow cooker and stir, being sure to break up the ground beef. 2. 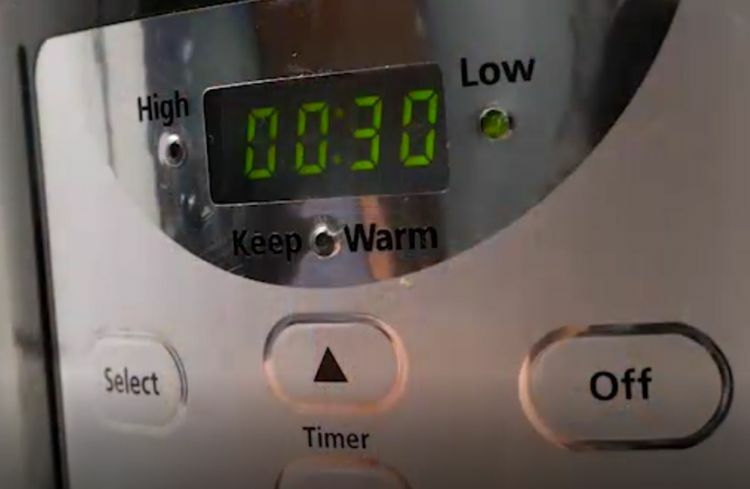 Cook on low 7-8 hours or high 3-4 hours. 3. 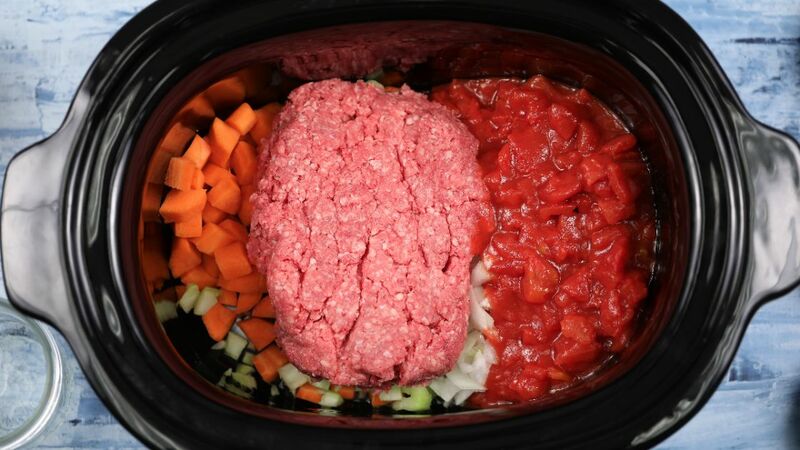 Check in our your slow cooker 30 minutes before the end. 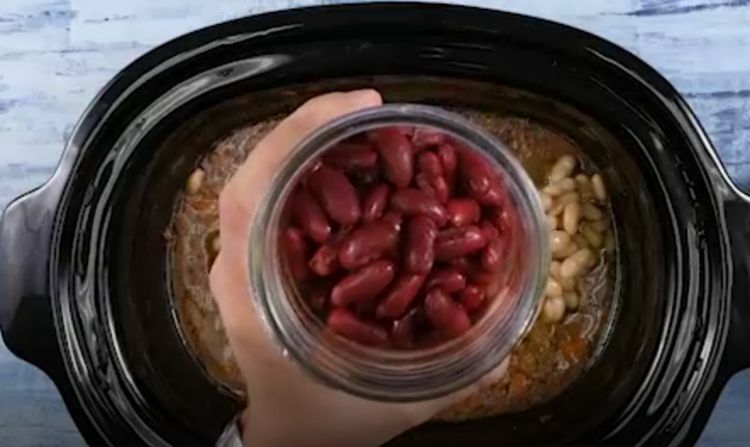 Stir in beans (drained and rinsed). 4. Remove bay leaves before serving. Sprinkle grated Parmesan on top. Serve piping hot to cries of great joy. Some people might want salad with their soup, and it would taste great. You probably just need some decent rustic-style bread and a spoon!